B & J Machinery Company was founded to provide carpet production equipment to the textile industry. Over the last 60 years, we have found ourselves working in a variety of other industries designing and building custom machines and assemblies to fit clients' specific needs. Each machine is hand-crafted to exacting specifications and tailored to its purpose. 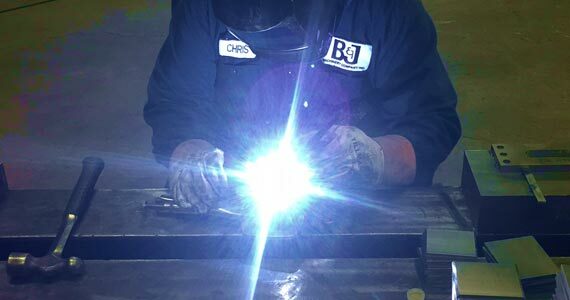 Welding, hardening, bending, and grinding are all processes that we utilize in the construction of new equipment as well as the repair of old.